May It Be "By Enya. For voice and piano. Piano Vocal. Movies, New Age and Celtic. Difficulty: easy-medium. Single. Vocal melody, piano accompaniment, lyrics and chord names. 3 pages. Published by Hal Leonard"
The Best Of Enya - Easy Piano "By Enya. For voice and easy piano. Easy Piano Personality. New Age and Celtic. Difficulty: easy-medium. Songbook (simplified piano/vocal arrangements). Vocal melody, piano accompaniment, lyrics and chord names. 48 pages. Published by Hal Leonard"
The Memory of Trees "By Enya. For voice, piano and guitar chords. Piano/Vocal/Guitar Artist Songbook. New Age and Celtic. Difficulty: medium. Songbook. Vocal melody, piano accompaniment, lyrics, chord names and guitar chord diagrams. 48 pages. Published by Hal Leonard"
Shepherd Moons "By Enya. For voice, piano and guitar chords. Piano/Vocal/Guitar Artist Songbook. New Age and Celtic. Difficulty: medium. Songbook. Vocal melody, piano accompaniment, lyrics, chord names and guitar chord diagrams. 56 pages. Published by Hal Leonard"
A Day Without Rain "By Enya. For voice, piano and guitar chords. Piano/Vocal/Guitar Artist Songbook. New Age and Celtic. Difficulty: medium. Songbook. Vocal melody, piano accompaniment, lyrics, chord names and guitar chord diagrams. 40 pages. Published by Hal Leonard"
Only Time "By Enya. For voice, piano and guitar chords. Piano Vocal. New Age and Celtic. Difficulty: medium. Single. Vocal melody, piano accompaniment, lyrics, chord names and guitar chord diagrams. 5 pages. Published by Hal Leonard"
Paint the Sky with Stars "By Enya. For voice, piano and guitar chords. Piano/Vocal/Guitar Artist Songbook. New Age and Celtic. Difficulty: medium. Songbook. Vocal melody, piano accompaniment, lyrics, chord names and guitar chord diagrams. 76 pages. Published by Hal Leonard"
Amarantine "By Enya. For voice, piano and guitar (chords only). Piano/Vocal/Guitar Artist Songbook. New Age and celtic. Songbook. Vocal melody, lyrics, piano accompaniment, chord names and guitar chord diagrams. 52 pages. 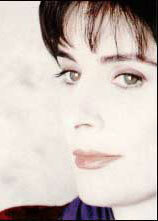 Published by Hal Leonard"
Only Time "By Enya. By Enya, Ricky Ryan, and Roma Ryan. Arranged by Kirby Shaw. SSA. Pop Choral Series. 8 pages. Published by Hal Leonard"
Only Time "By Enya. By Enya, Ricky Ryan, and Roma Ryan. Arranged by Kirby Shaw. SATB. Pop Choral Series. 8 pages. Published by Hal Leonard"